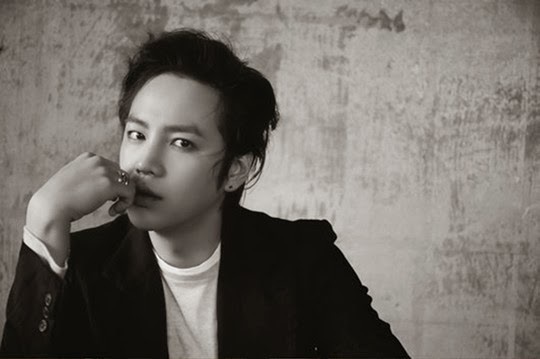 The Eels Family: [Article] Jang Keun-suk released new album ‘Monochrome’ in Japan and won the third place on Oricon. [Article] Jang Keun-suk released new album ‘Monochrome’ in Japan and won the third place on Oricon. [OSEN=Mi Kyung Sun] An actor Jang Keun-suk won 3rd place on Oricon with his third original full album ‘Monochrome’ which was released in Japan. On 26th, According to Japan’s top Music chart websites ‘Oricon Style’, Jang Keun-suk’s new album ‘Monochrome’ raised sale by selling 26,917albums on the album release date(25TH) and won the third place on ‘Oricon’ album daily chart. This album got released after a year and 9 months since his 2nd album ‘Nature Boy’. The album contains today’s appearance of Jang Keun-suk, celebrating his 5th Japan debut anniversary. The main title song ‘Hidakari’(sunny place, a warm place where sun sets in) is a soft feeling love song that contains hopeful messages and the song’s beautiful melody is impressing. This album ‘Monochrome’ is written by Japanese lyric writer, so its lovely Japanese expression is standing out. The famous lyric writer SATOMI, who wrote the song ‘Snow Flower’ and H.U.B who wrote songs for TVXQ, Crystal, Kay and etc., and other famous lyric writer participated in ‘Monochrome’ album and they got many compliments on increasing album’s completeness. Jang Keun-suk is starting the country tour ‘2015 JANG KEUN SUK THE CRI SHOW’ on 14TH of the next month in OSAKA.